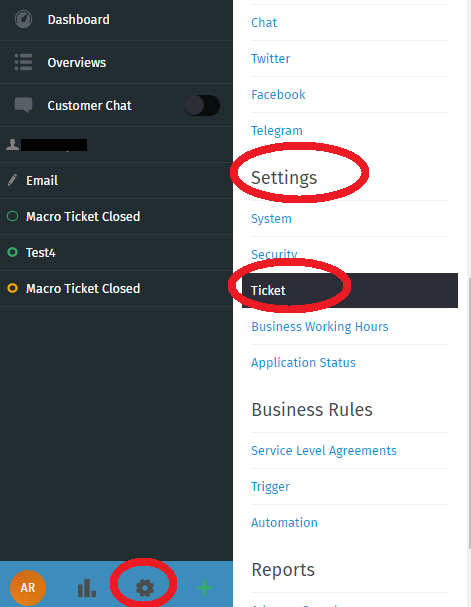 Click on “Base”, for “Ticket Hook” give the name of your choice. For “Ticket Hook Position” select the position as right, left or none accordingly. None means Some Subject (without ticket number). In the last case you should enable “postmaster_follow_up_search_in” to recognize followups based on email headers and/or body.